Today's top five stories of the week include the all-new Range Rover Evoque Convertible, an Audi Q6 e-tron and leaked photos of the latest Mercedes SL! The latest Mercedes SL was set to be unveiled at the LA Auto Show next week but it seems images of the car have been leaked early. No information has leaked alongside the photos, but they do show the latest version sporting several noticeable changes to the grille, headlights, bumpers, bonnet and more. The interior has also been updated, with leather and metal used throughout. We'd expect the engine to be inline with the current car and Mercedes' other models, meaning the standard SL 400 and SL 500 engine's, and the AMG-spec SL 63 and SL 63 variants too. For now it's all guesswork however, and so we'll have to wait until the full reveal at the LA Auto Show next week to find out more. Stay tuned! 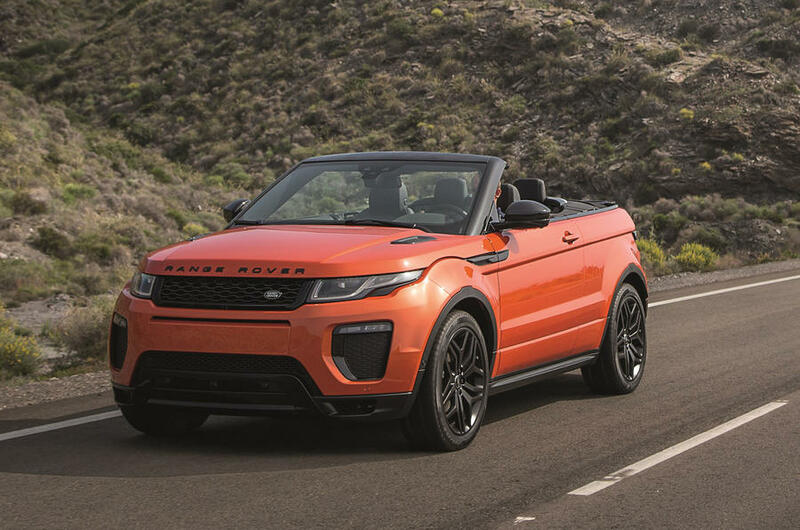 Land Rover continue to add to their range with the world's first luxury SUV convertible - the Range Rover Evoque Convertible. The car was originally previewed as a concept at the Geneva Motor Show in 2012 and after a strong public response, Land Rover continued forward with producing a production version in time for spring next year. When the SUV launches it'll be available in the company's 178bhp and 237bhp diesel engines and start at £47,500 without any extras. They're using the launch of the new model to introduce a load of new tech too, including a super-wide 10.2-inch touchscreen, 3G Internet connectivity and the latest InControl Tech Pro system which has various apps for smartphones and remote tracking. The car will debut at the LA Motor Show next week where we expect more information to be announced. A fully-loaded MX-5 has been announced by Mazda known as the Sport Recaro edition, with prices starting at £24,295. The fourth-generation MX-5 was released in March earlier this year and the Japanese manufacturer have now released a limited edition model which the help of Recaro. The car will be available with the 158bhp 2.0-litre engine in either Soul Red or the Ceramic Metallic paint pictured above. Significant improvements to the cars styling include a black boot spoiler, front lip spoiler, skirts at the side and rear, piano black doors and some 17-inch diamond-cut alloys, all of which they have dubbed the Sports Aero Kit. As you'd expect with the Recaro naming, the cars interior has been updated too with new heated Alcantara bucket seats, white alloy pedals, unique floor mats and dashes of Alcatara trim on the dash too. It also has some other useful upgrades including a sat-nav, DAB radio, parking sensors, climate control, Blistein dampers and most-importantly a limited-slip differential. When BMW debuted the new 225e and 330e plug-in hybrid models at the Frankfurt Motor Show earlier this year, the question everybody was wondering was 'how much will they cost?'. Well, now we know. The 2-Series Active Tourer version known as the 225xe is a 1.5-litre turbo petrol engine and will start at £35,005 when it launches in March. 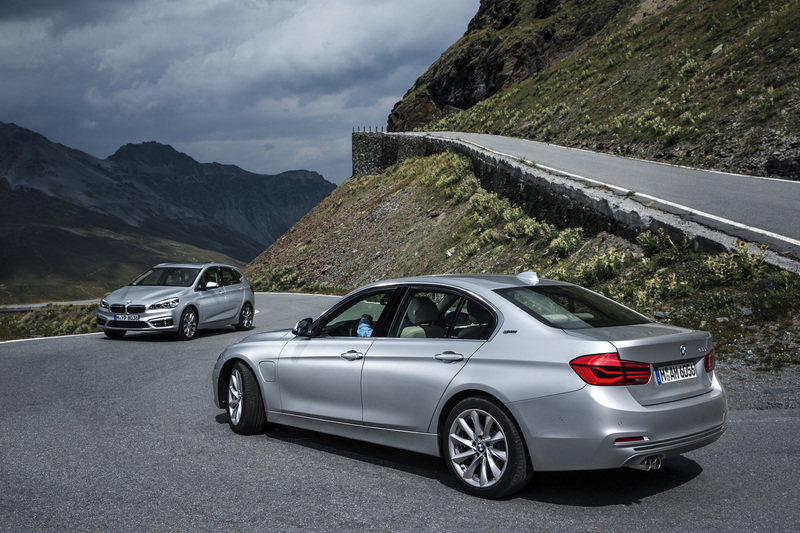 The 3-Series model dubbed the 330e is available now from £33,935 in the SE trim. The car packs a 248bhp TwinPower 2.0-litre turbo petrol engine capable of an impressive 0-62mph in 6.1 seconds and a top speed of 140mph. It's expected that both of these engines will be used in other models across the BMW range, with the 225xe powertrain likely to be used in the X1 and upcoming X2. 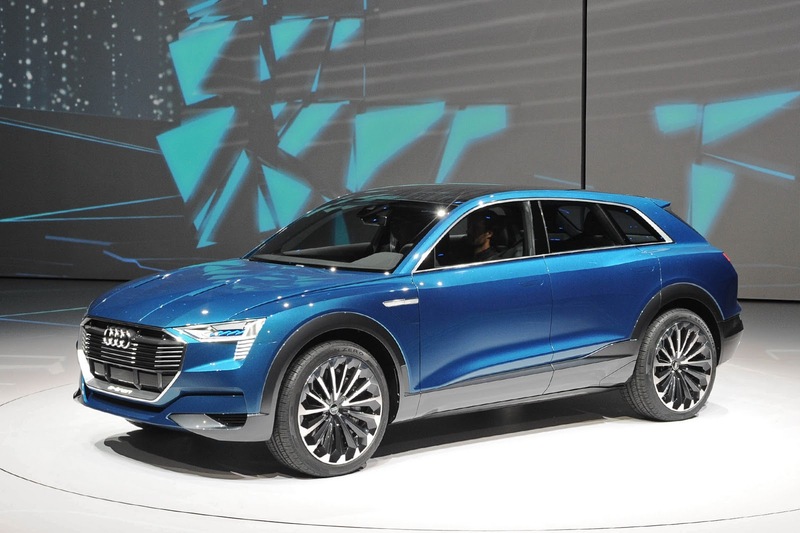 Audi have officially confirmed that the e-tron electric SUV concept they previewed at the Frankfurt Motor Show will go into production in early 2018. The fully-electric SUV concept was shown off earlier this year and the German manufacturer have this week confirmed that an almost identical version will hit the market in 2018. The SUV will have a 310-mile range and is likely to launch in-between the all-new Q5 and recently-updated Q7 models. As you can see in the picture above, the car has a sleek, chiselled styling which gives it a futuristic and techy look. It'll also sport the new Matrix OLED lighting technology in its headlights, meaning the lights require no reflectors or guides. No more details on the car have been announced and it's unlikely that they will be anytime soon considering it's launch is a few years off yet. It does however give us all a taste of the direction that Audi is taking with their brand, and the market they're trying to hit in the near-future.